Having grown up in his grandmother’s kitchen, Chris DiGiandomenico, knew from an early age that cooking was his passion. While his grandmother, who came from Italy, spent hours making homemade spaghetti, Chris absorbed not only a flair for cooking, but an appreciation for hard work. 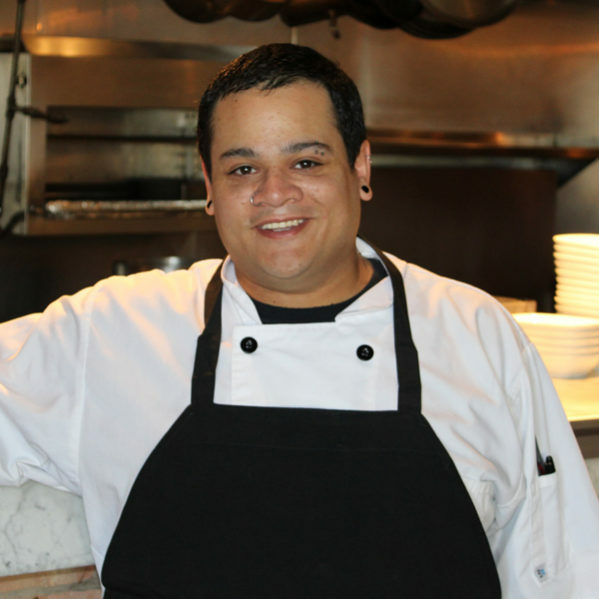 Starting as a line cook in 2011 at Sirena in Long Branch, NJ, Chris went on to work in the kitchens of Blue Rooster Bakery and Cafe and Stanton Ridge Country Club. It wasn’t until 2015 when he began as a line cook at Osteria Morini in Bernardsville, NJ, that Chris had that same feeling he had working side by side with his grandmother many years earlier. He was, again, in a kitchen where he was not only learning, but also challenged daily. Chris eventually went on to become the sous chef, working alongside Chef Kevin Knevals. Due to his passion and creativity, Chris currently holds the role of Chef di Cucina of Osteria Morini, bringing the soulful cuisine of Emilia-Romagna to the Bernardsville neighborhood.